The Amazon Prime Day has a plenty of great deals on kitchen appliances. 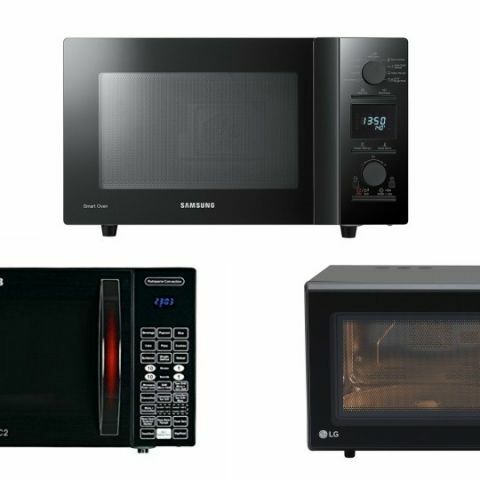 We’ve listed down some of the best deals of day 2 on products like microwaves. Amazon Prime Day is still going on and if you’re looking make the post of the sale, then you only have a few hours left. For this particular list, we’re curated a bunch of the best deals on microwaves. We have covered products across various price ranges that are from brands like Samsung, IFB, LG and more. The IFB Solo Microwave oven has a capacity of 17L and can be used for reheating, defrosting and cooking as well. It has three auto cook menu options and a jog dial to set the time. Click here to buy. The Samsung 23L Microwave oven features buttons to set temperature and time. It has a jog dial as well to manage the temperature of the microwave oven. Click here to buy. The LG 28L Convection Microwave oven lets you reheat, defrost and grill your food. It comes with a touch keypad and offers 151 auto cook menu options as well. Click here to buy. The Whirlpool 20L Microwave oven features an auto cook menu with 93 options. It also has a defrost feature along with a grill-combi mode. The other features of this microwave include multi-stage cooking, double-grill mechanism and more. The microwave box includes Cook & Serve Bowl, Pride Big Bowl, Pride Medium bowl, Serving Spoon. Click here to buy. The IFB 30L Convection Microwave oven features a floral design and comes with more than 101 menu options. The microwave is protected from overheating, sensor malfunction and more. It also comes with a child safety lock and an LED display. Click here to buy. The Godrej 20L Convection Microwave can be used for cooking, reheating, defrosting and grilling. It is equipped with a jog dial as well as tactile buttons to control the temperature and timer. The product comes with a one-year manufacturer warranty. Click here to buy. The Samsung Convection Microwave oven has a capacity of 32 Litre. The microwave comes with a wide grilling that grills your food better than the regular microwave oven grilling. It also has a jog dial & touchpad to control timer and temperature. Click here to buy. The IFB 25L Convection Microwave Oven has a plenty of features to offer such as defrost, steam clean, multi-stage cooking, quick start, auto reheat, deodorize, power save, fermentation, disinfectant and more. If you’re concerned about the product quality then the IFB 25L microwave oven is completely protected from overvoltage, sensor malfunction, overheating. Click here to buy. The Bajaj Grill Microwave oven has a total capacity of 20L. The product can be used for reheating, grilling and defrosting only. One needs to keep in mind that the microwave is not designed for baking. Click here to buy. The Godrej 30L Microwave oven is specifically designed for reheating and defrosting only. It also comes with a child lock that ensures safety, if you have children around. The microwave does not come with a starter kit, which means you have to buy the microwave crockery separately. Click here to buy.